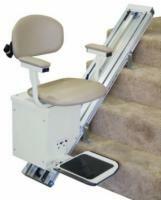 Falls are the leading cause of injury in elderly individuals. 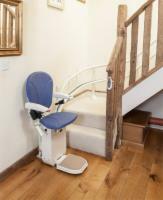 We offer stair lifts from the industry-leading manufacturer AmeriGlide, so you can travel between floors of your home with confidence and security. 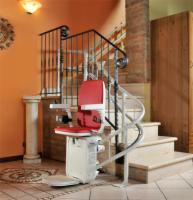 Choose from battery-powered or electric stair lifts, or opt for an outdoor model for exterior entryways above ground level. 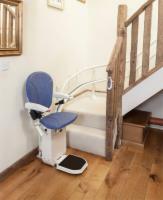 Measuring for a stairlift and preparing for installation is a breeze - let us walk you through the process personally! 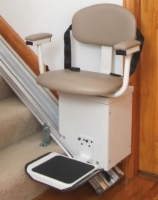 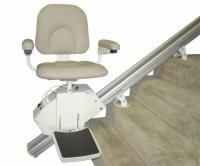 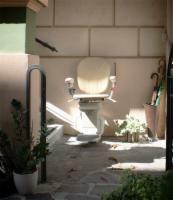 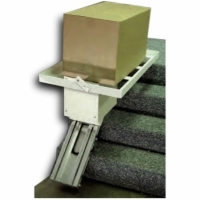 Call our stairlift experts at 1 (800) 791-6899 today and begin planning for your stair lift!